The deadline to register to vote in Michigan's primary is today. 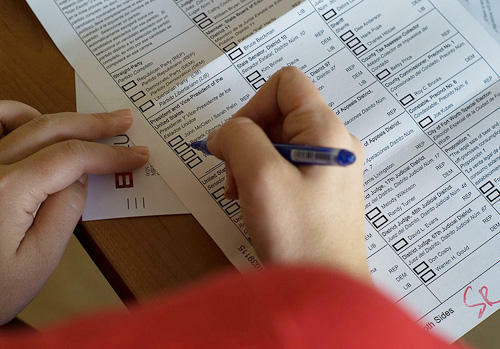 On Aug. 5, Michiganders will vote in the party primaries for state House and Senate seats. But turnout has been historically low in the primaries. Vincent Hutchings is a professor of political science at the University of Michigan. He says it's still important to vote, especially in solidly Republican or Democratic districts. "Political figures within a party can sometimes differ quite a bit, and the decision to go with, say, one Republican as opposed to another, can often have very big ideological and even policy consequences," Hutchings says. In the most gerrymandered districts, the primary essentially decides who will hold the seat in January. Ken Kollman is also a professor of political science at the University of Michigan. He adds that primary voting in competitive districts is important for a different reason. "Particularly in the suburbs around Detroit and Oakland and Macomb County, these can be competitive – so you’re going to want to have a voice in the nature of the person representing your party on a general election ballot." To register you can go to michigan.gov/vote.